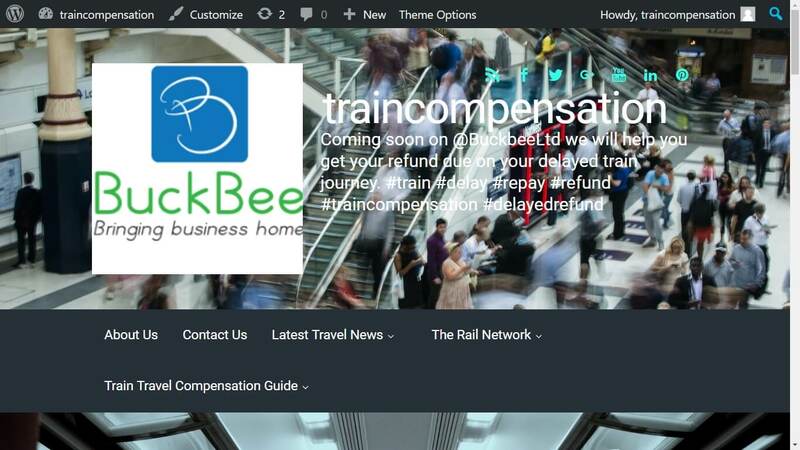 The terms ‘us’, ‘BuckBee’, ‘Buck Bee Ltd.’ 'BUCKBEE LIMITED', ‘we’ or ‘our’ refer to the content of this website whose details are set out below; the term ‘you’, ‘your’, ‘visitor’, ‘client’, refers to the client, viewer or user and their business/company of this website or linked representative. Your business must have valid UK address and trade in the United Kingdom; you agree to provide us with your business details (including your name, business name, any trading names, Email address, website address/URL, contact telephone number/s, postal address and valid payment details-where appropriate) that are true and current; you agree to update us if at any time your business details change by notifying us in writing; you must be at-least 18 years of age. Persons under 18 are not permitted to use our services. We undertake to use reasonable skill and care in the performance of our goods, but we do not in any circumstances accept responsibility for the accuracy or otherwise of any listing or its compliance with any legal or regulatory requirements (nor is any kind of warranty expressed or implied by such publication). 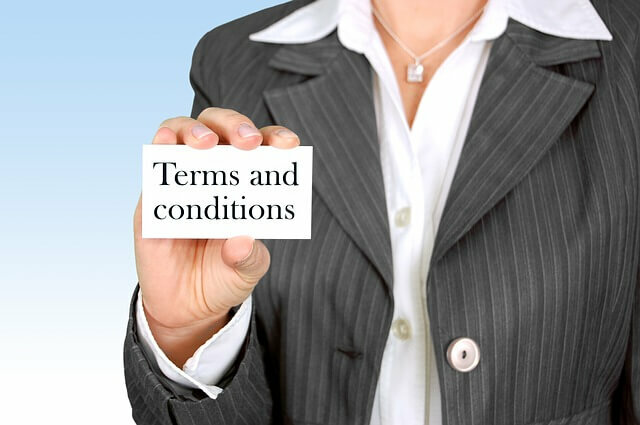 We specifically disclaim all and any liability to you of any kind (other than any liability which may not by law be disclaimed) for loss or damage of any nature whatsoever and however arising, whether due to inaccuracy, error, omission or any other cause, and whether on our part or on the part of our employees or agents or any other person. In the case of any liability which may not by law be disclaimed, under no circumstances shall we be liable to you or any other party for any special, incidental, indirect or consequential damages of any kind, including but not limited to those resulting from loss of sales, loss of goodwill, loss of revenue or profits, savings you expected to make or financial loss of any sort, whether or not we were advised of the provision of the goods, whether under contract, negligence or otherwise, shall not exceed (at our option) giving you a credit against the charges for any goods or (in an appropriate instance) providing replacement/new goods up-to the original sale price without charge. Except as expressly provided in these terms, all warranties, conditions, representations, or other terms implied by law as to the quality of the goods, in relation to the goods, or otherwise are excluded to the fullest extent permitted by law We shall not be made liable to you or be deemed to be in breach of the contract by reason of any delay in performing, or any failure to perform, any of our obligations in relation to the services if the delay or failure to perform was due to any cause beyond our reasonable control. All intellectual property rights in any material created by us in carrying out our obligations under the contract shall be our exclusive property. We do not claim any ownership rights in user material, however, by submitting user material you hereby grant to BUCKBEE LIMITED. An irrevocable, perpetual, non-exclusive, royalty-free, sub-licensable, transferable and worldwide licence to use, reproduce, modify, prepare derivative works of, display and perform that user material in ant media. The licence you grant us will terminate when your account is terminated with us. Your ability to use our on-line goods, depend on you having the necessary equipment, systems and connectivity. Before you use our goods, you must first ensure that you have all the necessary equipment, systems and connectivity to utilise all our on-line features properly. We are unable to specify particular requirements (which can vary) and are not responsible in any-way for your ability to view or use our goods. You acknowledge that the availability of our on-line goods may be affected by internet usage and/or bandwidth usage, internet connectivity, or by other network ISP, electronic, computer or other communication problems or failures and that we are not responsible for the failure from any of our goods connected with these problems. No amendment/s or variation/s of contracts or agreements shall be effective unless it is in writing and signed off by a BUCKBEE LIMITED. Representative and you or a representative for you and/or your businesses. You and us both acknowledge and agree that entering into any contract/agreement, and the documents referred to in it, you do not rely on, and shall have no remedy in respect of, any statement, representation, warranty or undertaking (whether negligently or innocently made) of any person (whether a party to the contract/agreement or not) other than as expressly set out in the contract/agreement. Nothing in these terms shall operate to the limit or exclude any liability for fraud. Any terms and conditions, additional usage rules or similar on this website or on a device relating to any BUCKBEE LIMITED. Goods that you use and/or purchase from us are deemed to be incorporated into these terms and the others listed within this document. You acknowledge all intellectual property and other rights in the goods we provide are owned by us, third parties and or our licensors; thus you undertake that: You will not encourage and/or assist any other person to make false or misleading comments about a business You will not encourage and/or assist any other person to, circumvent, modify, remove, reverse-engineer, decompile, dis-assemble, alter or otherwise tamper with any security, encryption or other rights management technology or software that is part of the service to you. If any provision of the contract/agreement is or becomes illegal, invalid or unenforceable in any jurisdiction, that shall not affect the legality, validity or enforceability in that jurisdiction of any other provision of the contract/agreement or the legality, validity or enforceability in any other jurisdiction of that or any other provision of the contract/agreement. The contract/agreement shall be governed and construed in accordance with the law of England and both parties agree that the courts of England and Wales shall have exclusive jurisdiction.